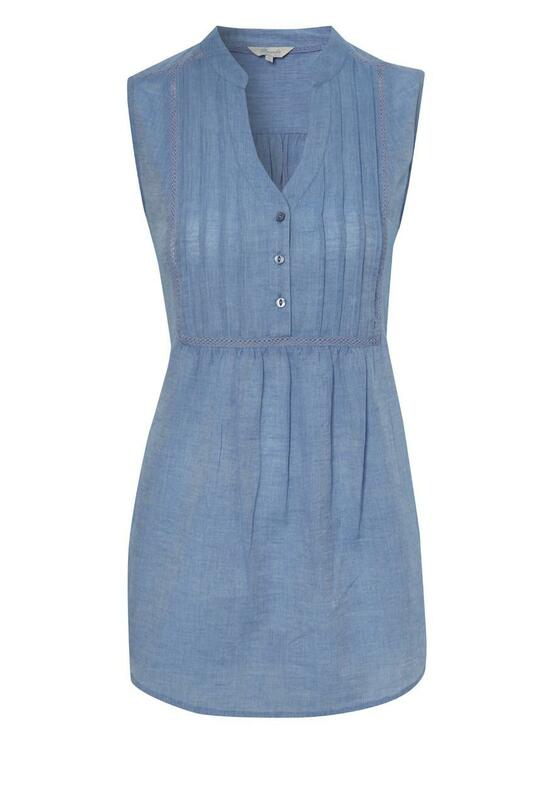 Perfect for a hot summers day, this simple, sleeveless number isn't lacking in style. Detailled with some understated embroidery, this will absolutely go with anything. Whether worn over shorts or paired with colourful chino's, you'll be bang on trend! The lightweight fabric means you can shop til you drop and while the tie back function sinches you in at the waist, it still allows to room to move. 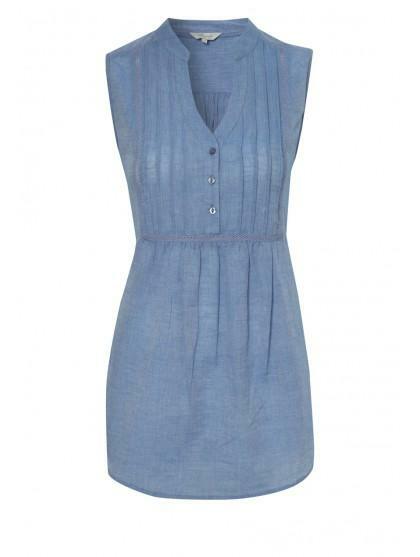 A piece for any wardrobe why not look cool while keeping cool this Summer! !